The current Indian government has an aim of increasing the output and the quality of exports from India as portrayed by the “Make in India” policy, and the many tax benefits provided to the exporters. GST rolled out on July 1 and yet there is still some ambiguity among the exporters on the possible impact of the new regime on this industry. Traders want to know how GST will affect the products exported, and the amount of tax paid on the raw material/input used. To erase this confusion, the Indian government has shared a set of notifications and guidance note for the public on 28th June 2017 regarding the applicability of CGST, SGST, UTGST and cess and GST rates. Export without payment of IGST by furnishing LUT. GST on Exports: How Will It Be Levied? The export of goods or services is considered as a zero-rated supply. GST will not be levied on export of any kind of goods or services. A duty drawback was provided under the previous laws for the tax paid on inputs for the export of exempted goods. Claiming the duty drawback was a cumbersome process. Under GST, the duty drawback would only be available for the customs duty paid on imported inputs or central excise paid on certain petroleum or tobacco products used as inputs or fuel for captive power generation.There was some confusion surrounding the refund of the tax paid by exporters on the inputs. Option 1: Supply goods or services, or both, under bond or Letter of Undertaking, subject to such conditions, safeguards and procedure as may be prescribed, without payment of integrated tax, and then claim a refund of unutilised input tax credit. The exporter needs to file an application for refund on the common portal either directly or through the facilitation ccenternotified by the GST commissioner. An export manifest or report has to be filed under the Customs Act prior to filing an application for refund. Option 2: Any exporter or United Nations or Embassy or other agencies/bodies as specified in section 55 who supplies goods or services, or both, after fulfilling certain conditions, safeguards and procedures as may be prescribed; and paying the IGST, can claim refund of such tax paid on the supplied goods or services, or both. The applicant has to apply for the refund as per the conditions specified under section 54 of the CGST Act. An exporter is required to file a shipping bill for the goods being exported out of India. In this case, the shipping bill is considered as a deemed application for refund for the IGST paid. It would be deemed to have been filed only when the person in charge of the shipment files the export manifest or report, mentioning the number and date of the shipping bills. 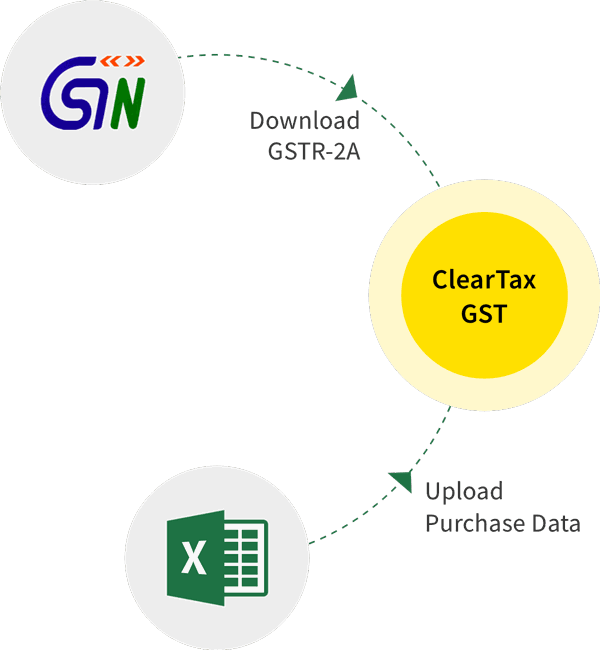 Electronic as well as manual shipping bill formats are amended by the department to include GSTIN and IGST. The modified forms are available on the official department website. The Department is also in the process of relaxing the factory stuffing procedure and necessary permissions, to give a boost to the Indian export industry under GST. Filing of returns under GST for the deemed export is to be done as per the general procedures provided for export under GST. 3. Document proving that the burden of paying tax has not been passed on (CA certification or self-certification). 4. Any other document required by the government. With GST in place, the export industry in India would be able to have internationally competitive prices due to the smooth process of claiming input tax credit and the availability of input tax credit on services.